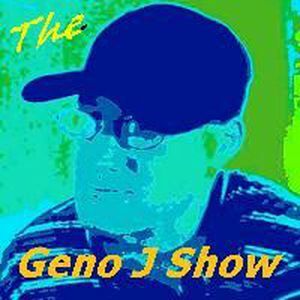 The Geno J Show is a one hour jam-packed podcast containing music, news, as well as my life happenings. The show is always prerecorded, so you cannot catch it live, but you can enjoy the show right here on my website, whenever there’s a new episode available! This podcast primarily gives you the listeners the ability to learn about the things that happen in my life. I do my best to publish new episodes every month, but sometimes it’s not as frequent as I would like. The views and opinions are my own, but I always listen to you the listeners, to give a weighted argument, regardless the topic at hand. During the show I, Geno J present a couple of segments. The first of which is called “Top Stories”, where I share some of current world news stories. This segment also features a commercial break, but is very short. The other segment is called “The Tech Trend”, where technology ‘tidbits’ is discussed. I mainly find technology as it relates to the blind community, but sometimes it’s not always involving that focal point. Your feedback regarding topics in technology of course is always appreciated. To split up each segment, you’ll hear musical breaks as well. Normally, it’s what I’m in the mood to hear, which is usually rock, pop or country. Occasionally, you may hear other genres though. These musical breaks are primarily tunes of today, but it cannot be ruled out that a special theme may occur, and tunes from ‘yesteryears’ could be played as well. Typically, the show is a program suitable for all audiences, but can’t be ruled out that some choice words, feelings, or for that matter, other people’s opinions might be clearly evident on the program, that may perhaps offend some listeners. Not only that, but the music may occasionally be inappropriate for some listeners as well. I do hope you enjoy the podcast, and welcome any feedback on my contact form that I get from you, my loyal listeners. Thanks again for checking out The Geno J Show and I do hope you find them a great way to catch up with me and my life! Click here to return to view all the shows. Description: I kick off this episode with some college related news and go into detail what I expect to encounter this spring semester. You also get your Top Stories (I mean “Trump” Stories) from Lisa Brady and your Tech Trend, briefly reviewing the Skype add-on called ONAIR. Description: I kick off the new year with some changes regarding this podcast and a brief rundown of what happened this past semester in college. You also get your Top Stories from Lisa LaSera and your Tech Trend breifly reviewing the Mackie ProFX8v2 mixer and Behringer B1 microphone. Description: On this rather sudden random impromptu episode, I discussed the progress of my college classes and other announcements regarding The Rockin’ Pop Party. As usual, you heard your Top Stories with this time, Lisa Brady and a look at the Tech Trend discussing an update to Roger too!